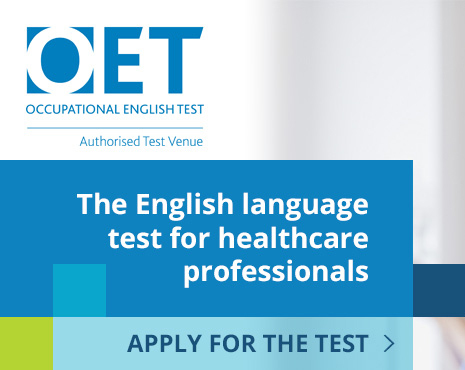 The OET (Occupational English Test) is an international English language test that assesses the language and communication skills of healthcare professionals who wish to register and practise in an English-speaking environment. OET scores are accepted by healthcare boards and councils in Australia, New Zealand and Singapore. Organisations like hospitals, universities and colleges use OET as a proof of a candidate's ability to communicate effectively in a demanding healthcare environment. OET is also recognised by the Australian Department of Immigration and Border Protection for several visa categories, including work and student visas. In BDS Institute of English OET Preparation Course is taught by experienced English & Medical professionals with a strong knowledge of the OET Exam. Result is declared in 15-20 days and then one can directly apply for Australia, New Zealand or Singapore. No further study or exams are required after achieving A or B grade in each module. The OET provides a valid and reliable assessment of all four language skills - Listening, Reading, Writing and Speaking - with an emphasis on communication in medical and health professional settings.